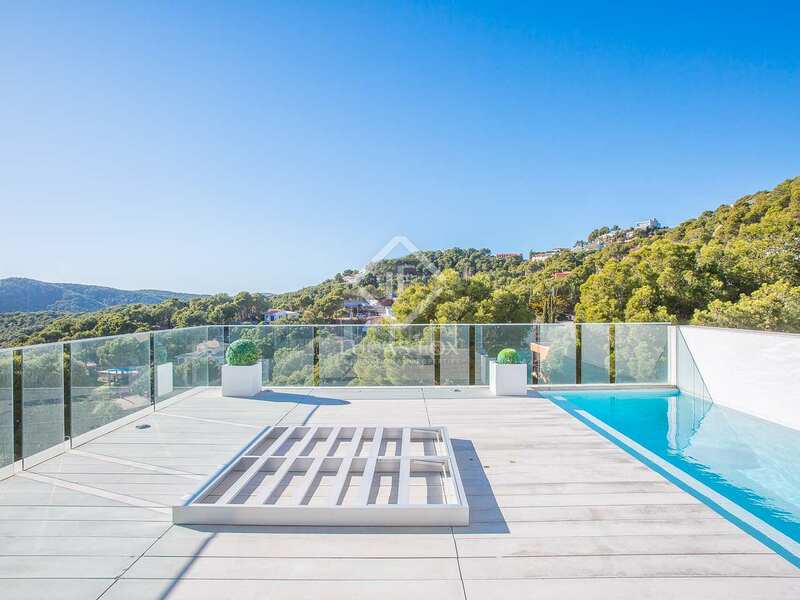 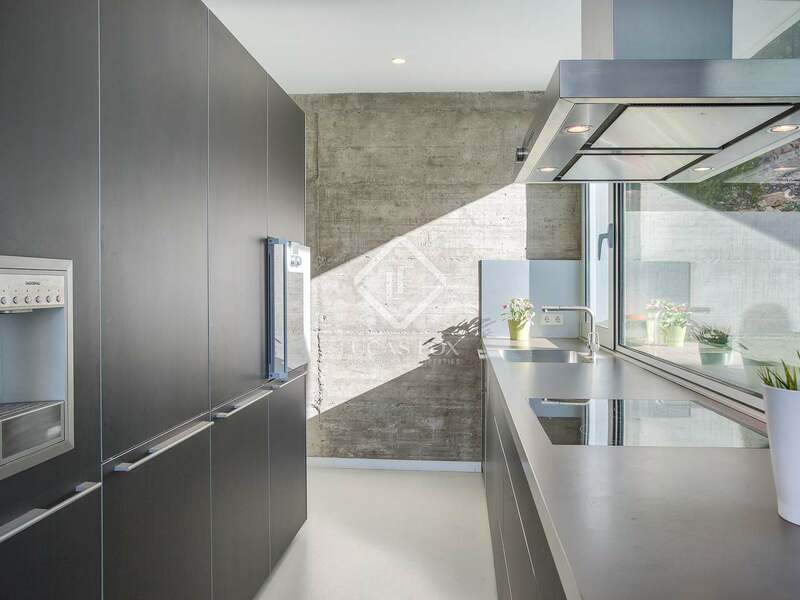 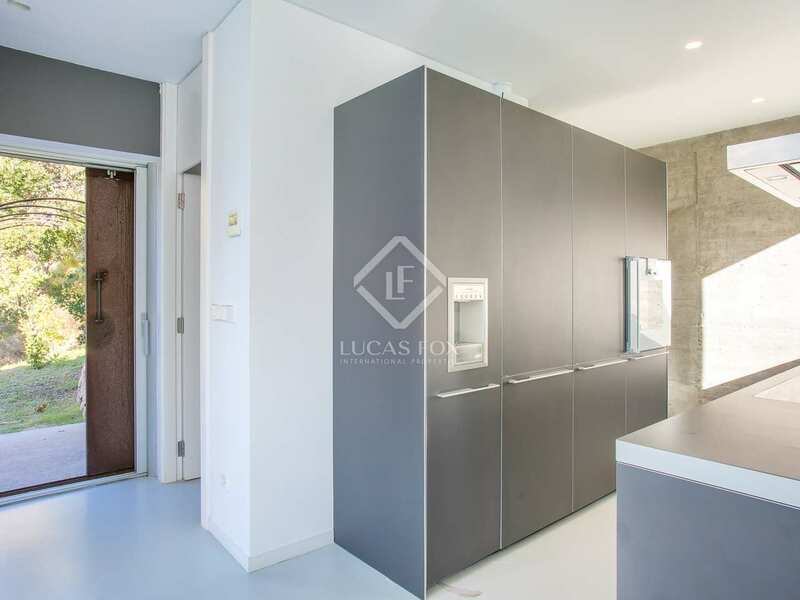 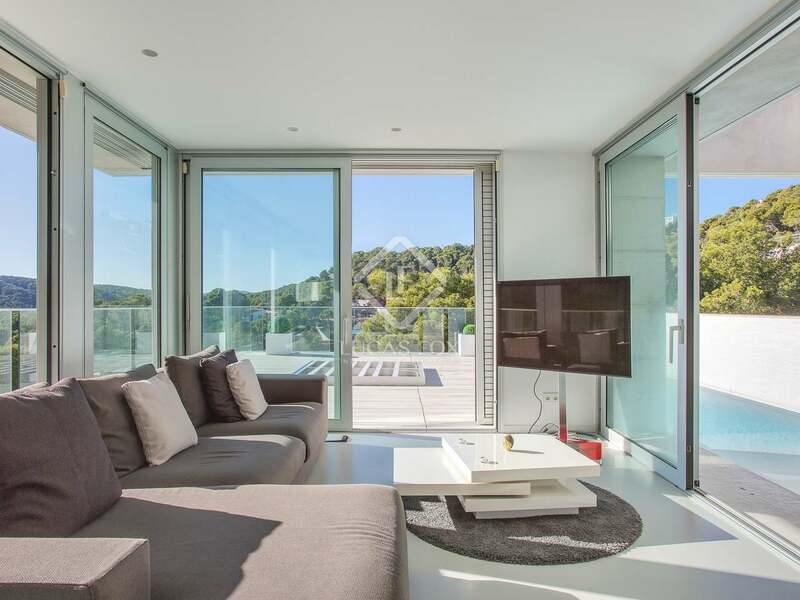 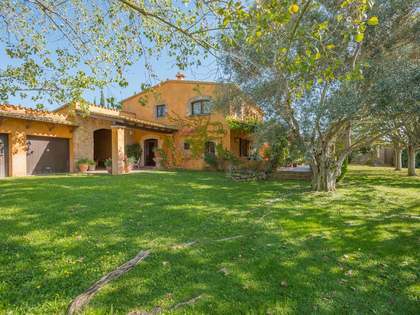 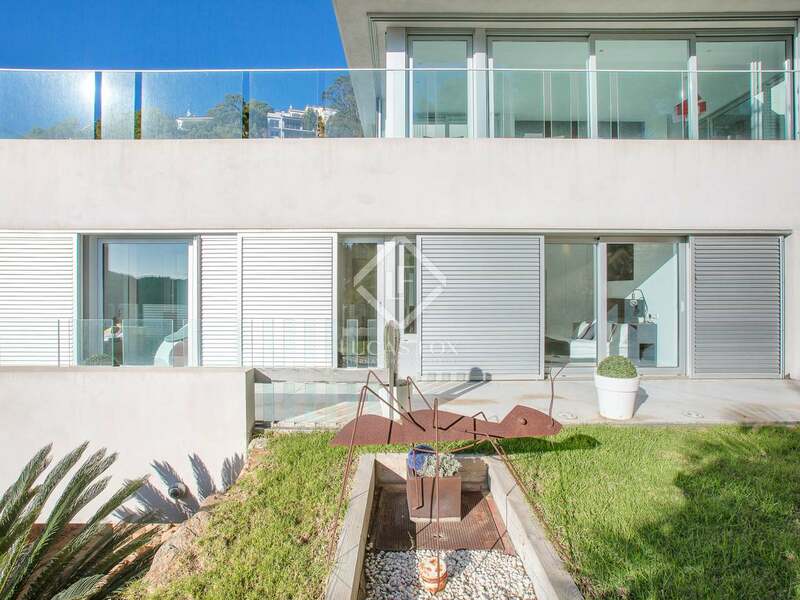 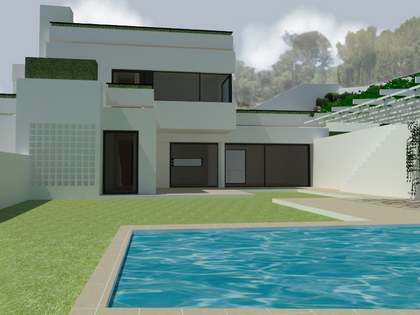 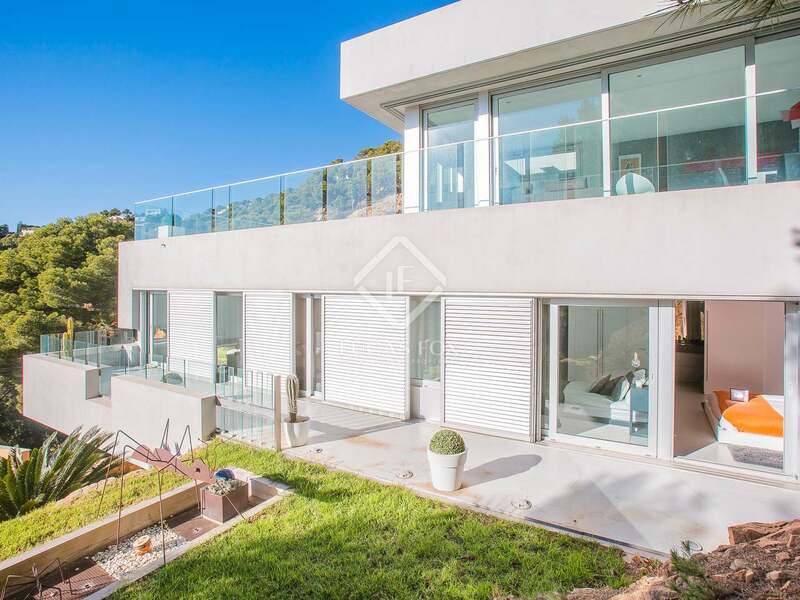 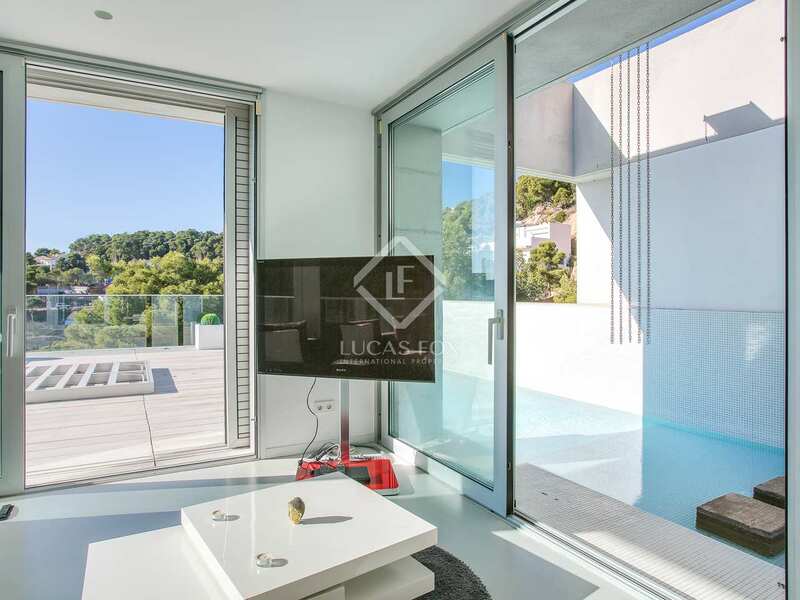 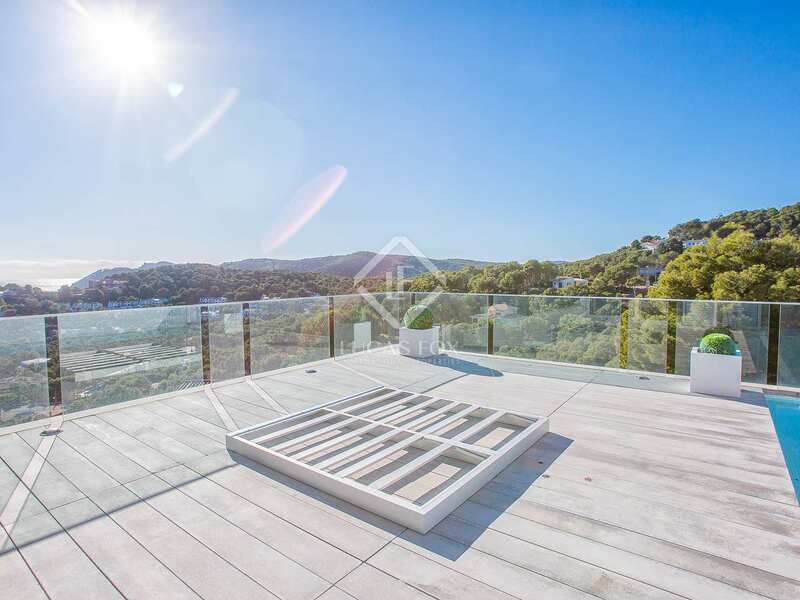 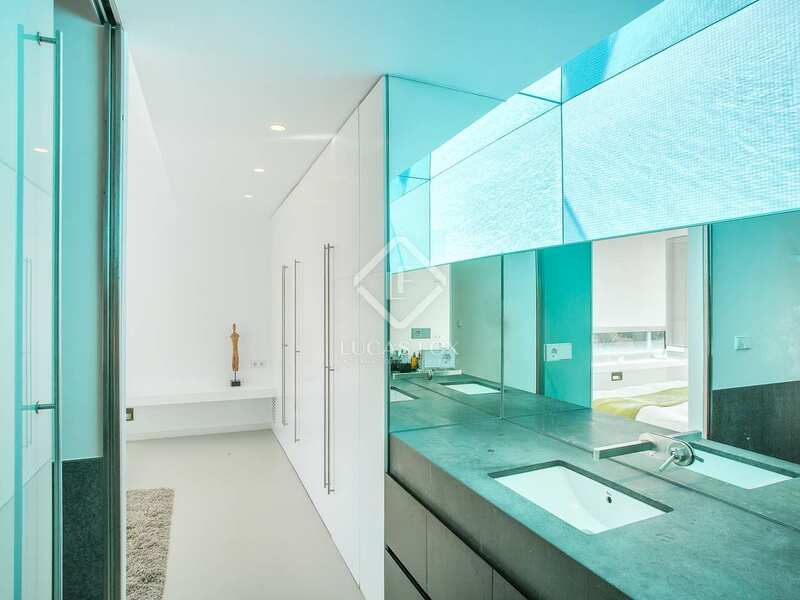 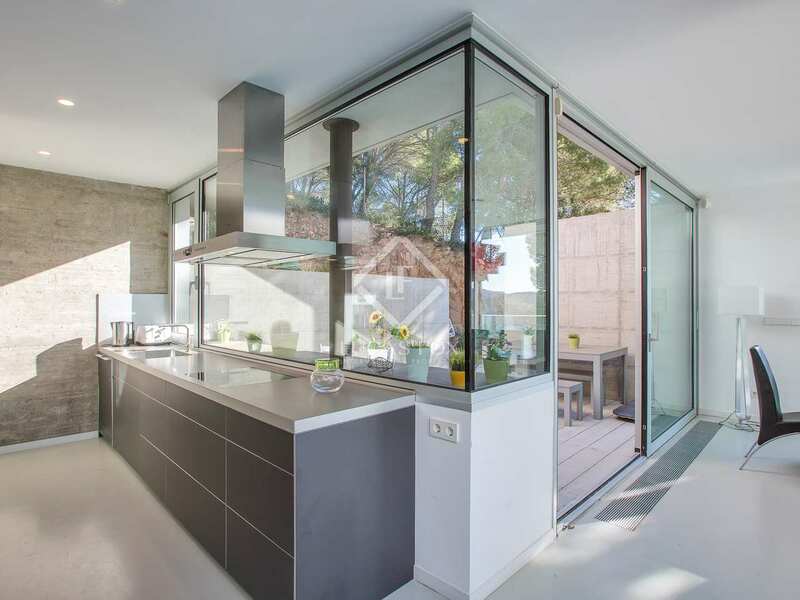 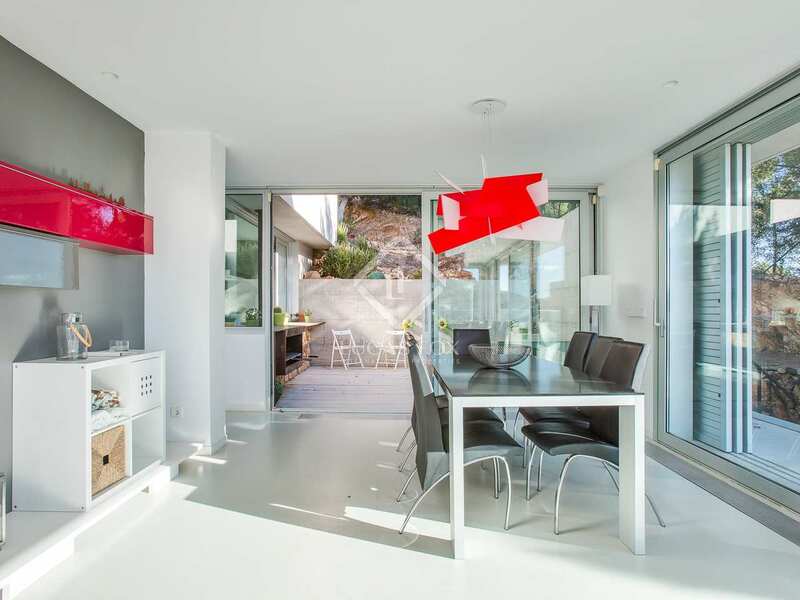 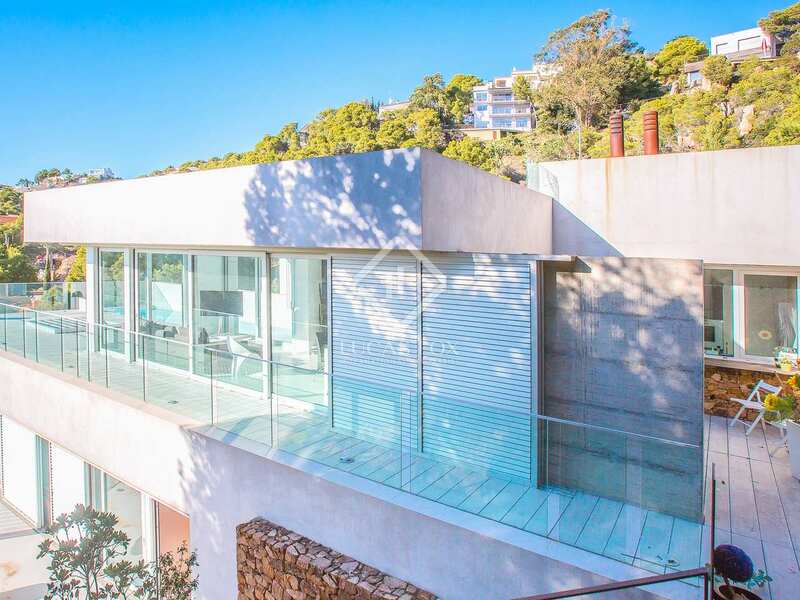 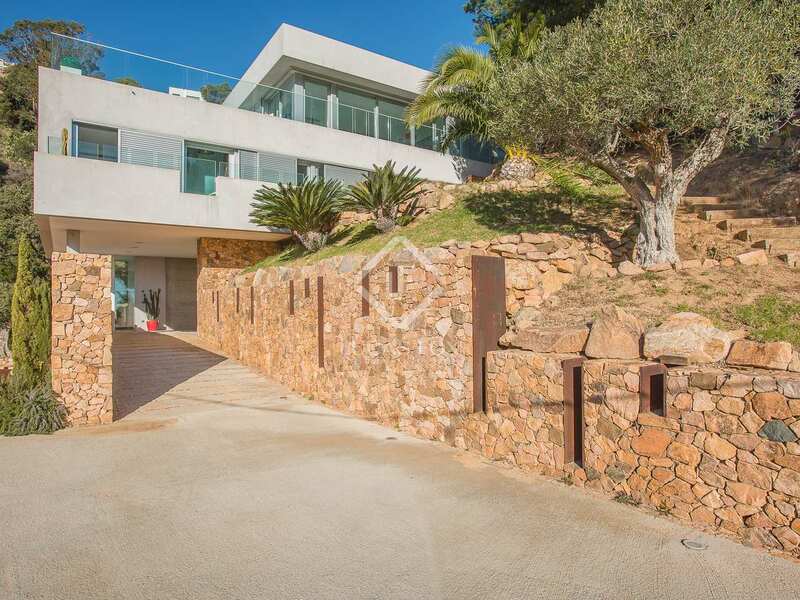 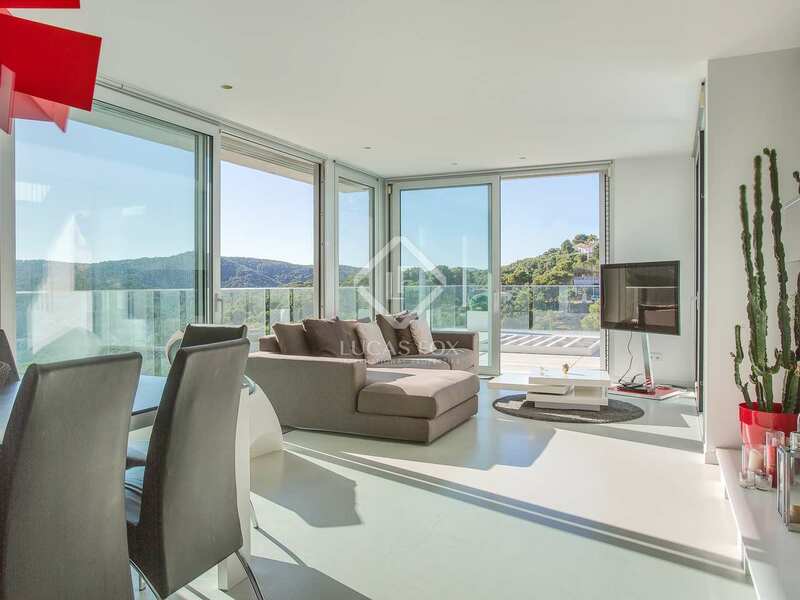 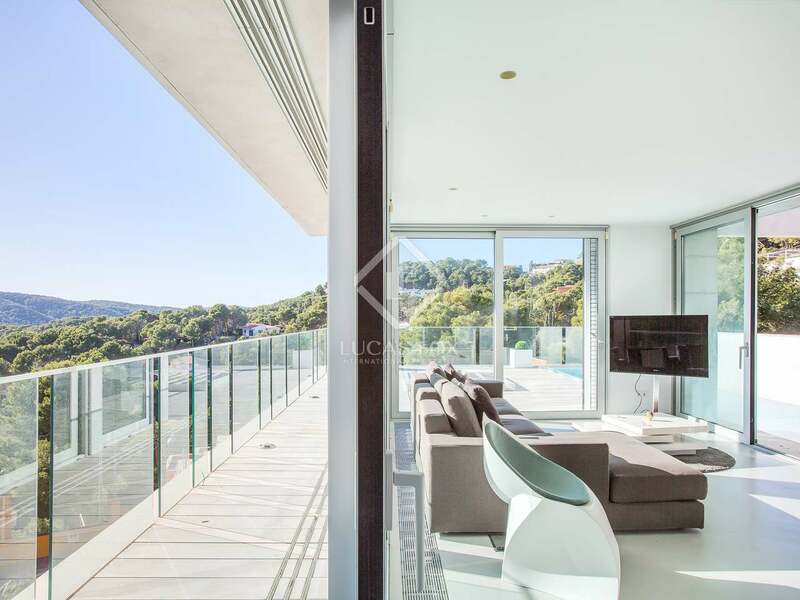 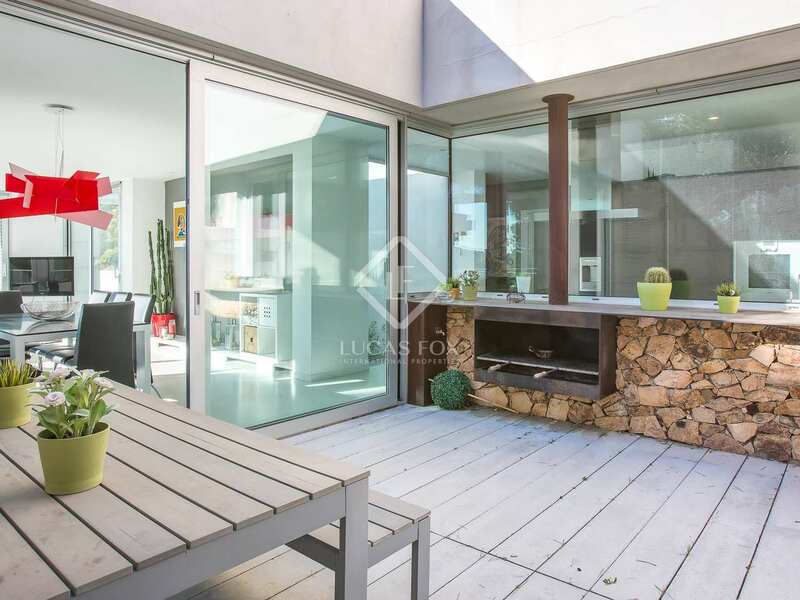 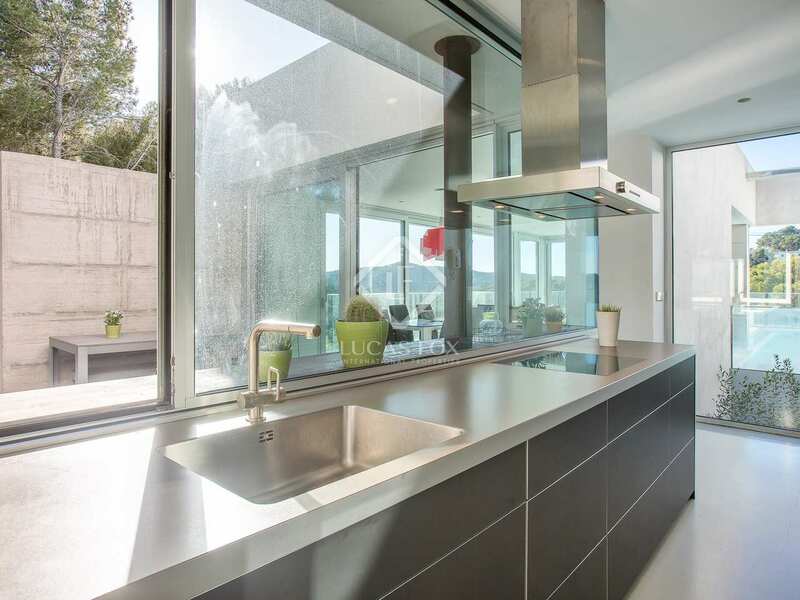 This stylish designer Costa Brava house to buy is located in an attractive and upmarket residential area close to the beaches of Tamariu, Aiguablava and Aiguaxelida. 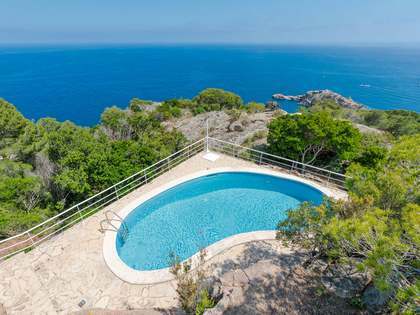 The 4-bedroom, 3 bathroom property is constructed over three levels and enjoys lovely sea and countryside views. The house is flooded with natural light and boasts a beautiful swimming pool and large open terrace at first floor level. 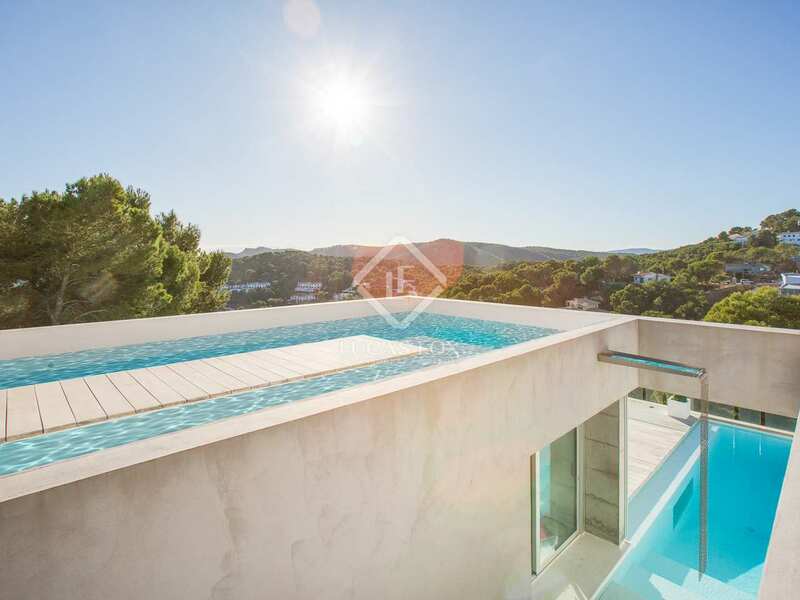 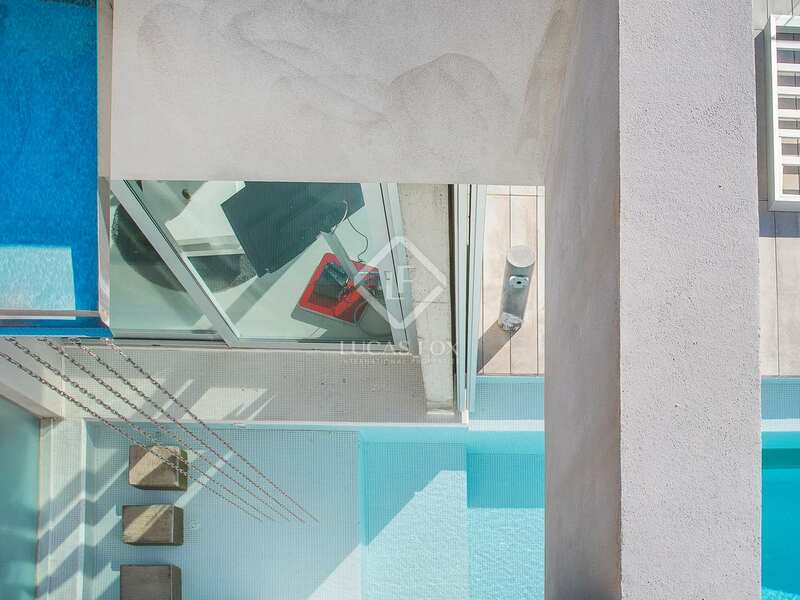 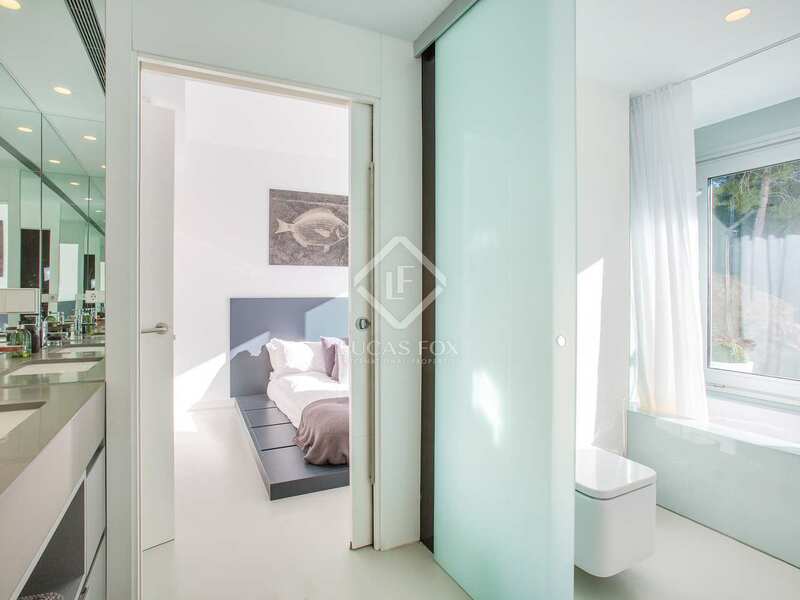 On the second floor is a large roof terrace with plunge pool chill-out area. 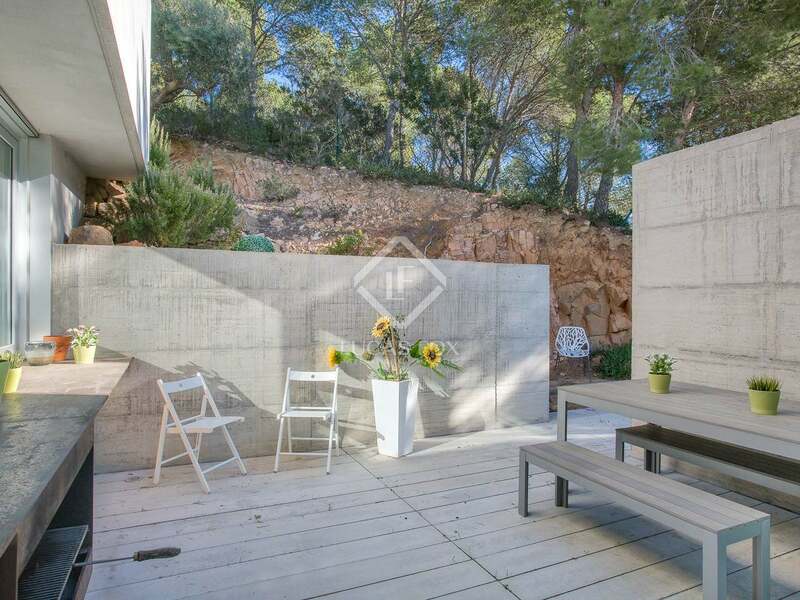 There is also a small lawned garden. 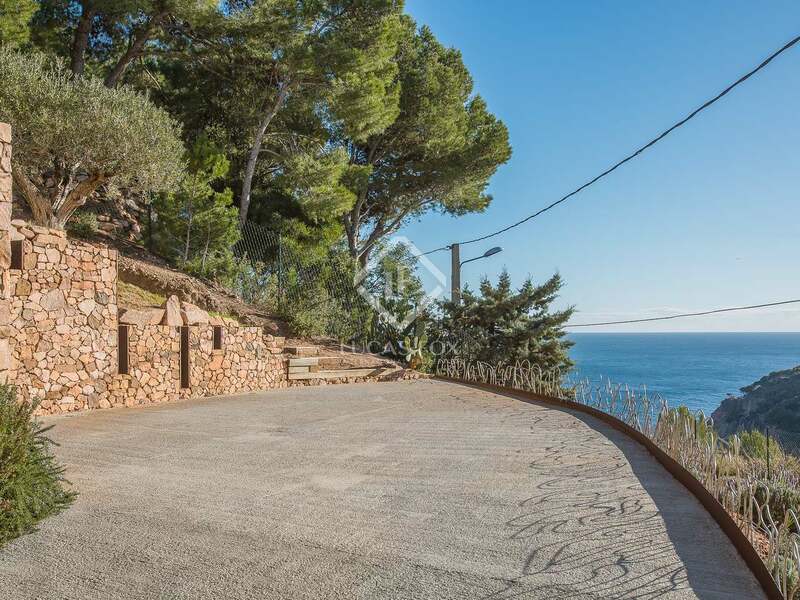 The property is located in a tranquil residential area with very little passing traffic and is just a few minutes drive from some of the Costa Brava's most beautiful bays and beaches. 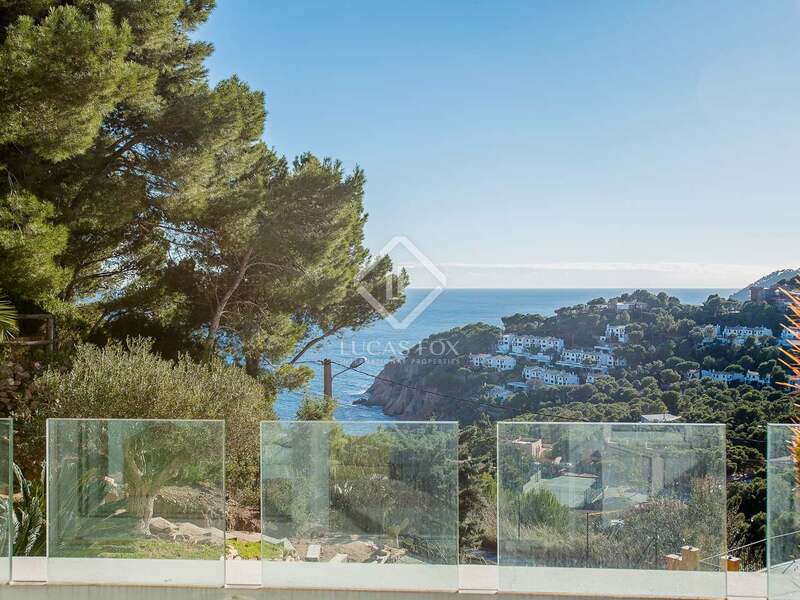 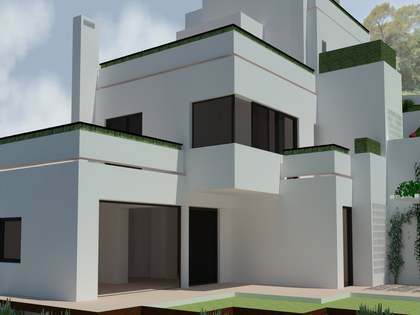 View more exclusive Costa Brava property for sale. 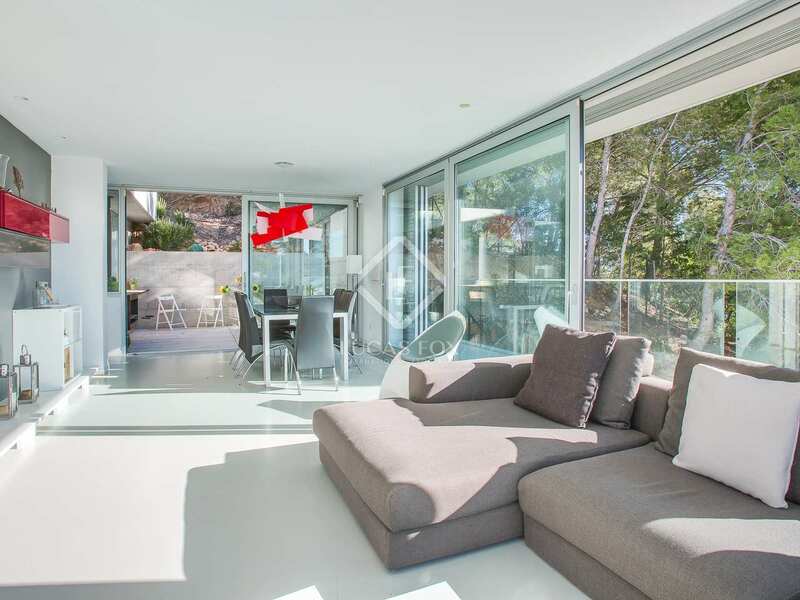 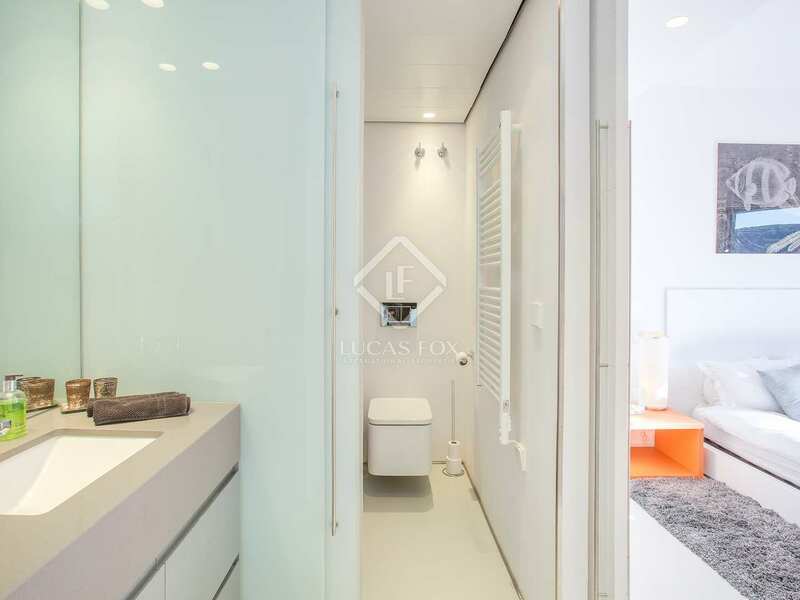 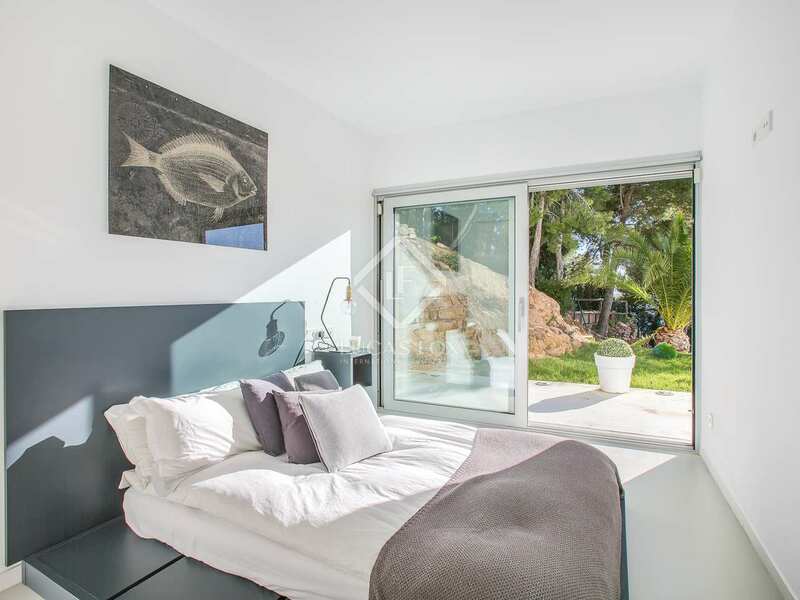 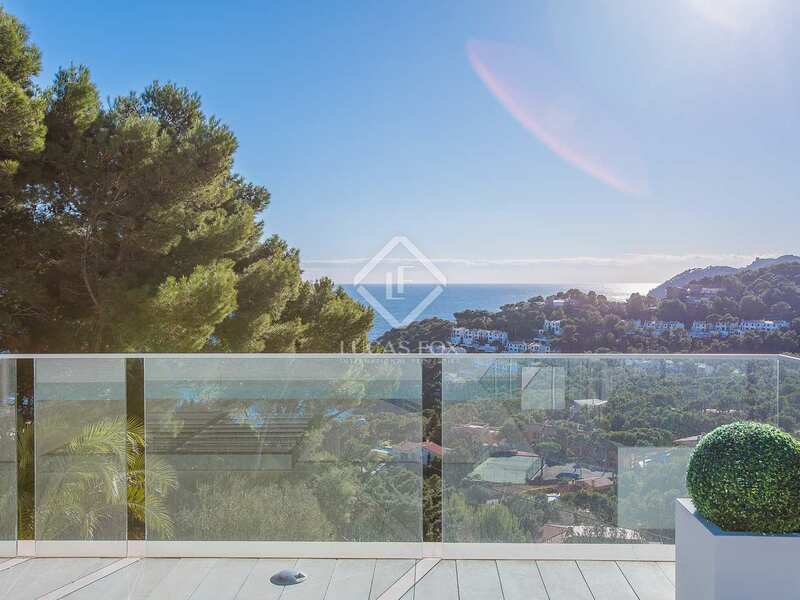 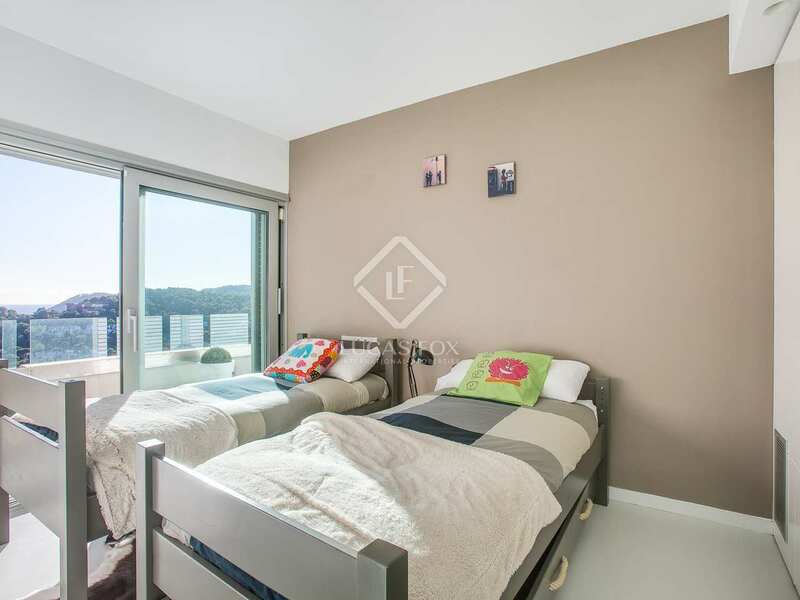 The house is ideally located in an exclusive and attractive residential area between Tamariu and Aiguablava with lovely sea views and excellent access to the nearest beaches. 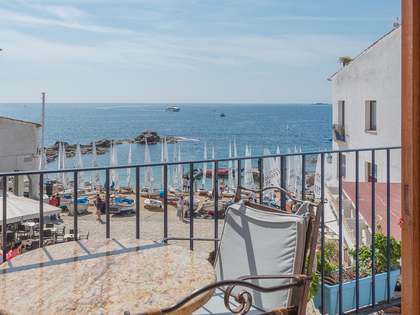 The nearest town is Palafrugell, just 5-minutes from the property, and the stunning village of Begur is only 7km away. 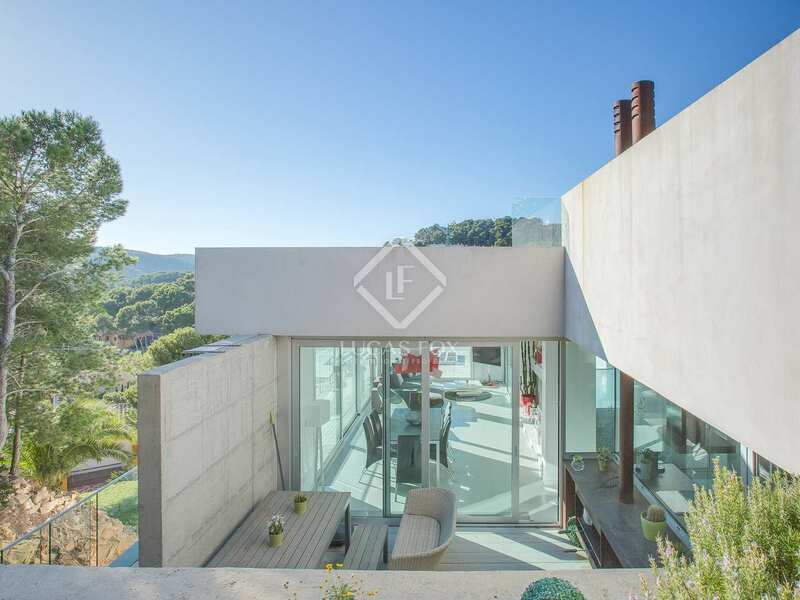 There are also two excellent 18-hole golf courses within a 15-minute drive of the house (Platja de Pals and Golf Emporda). 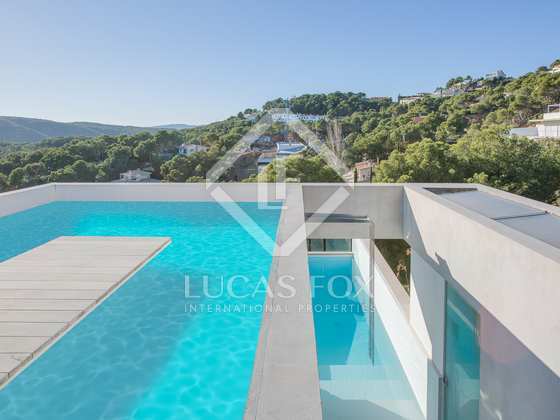 Barcelona airport is 130km away and Girona airport only 45km from the property. 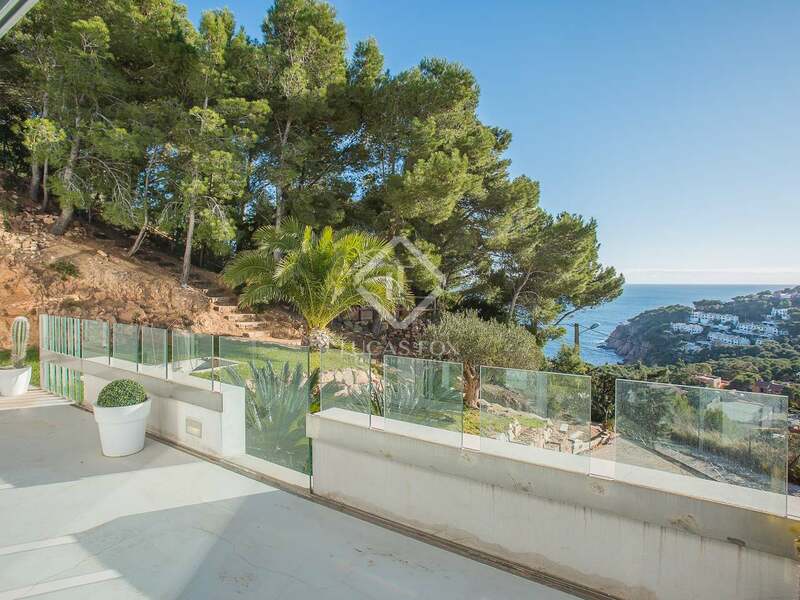 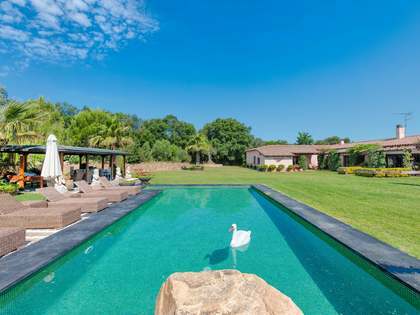 View more luxury Costa Brava property to buy.